Anytime changes to several of the front teeth are considered, Dr. Toomey offers his patients the option to have a Smile Design created. 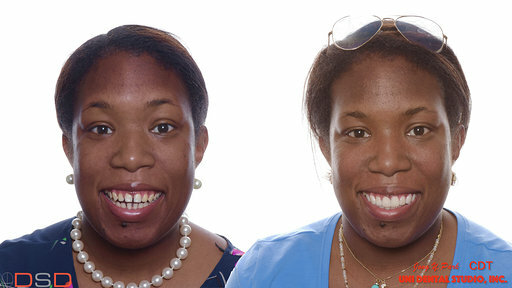 This allows the patient to “try-on” their new smile before deciding to proceed. We begin the process in our office, so that Dr. Toomey can effectively communicate his goals for your smile to the lab. Then our patient goes to the lab in Columbia, MD, where measurements and photos can be taken. The shape of your face, skin color and how your lips cross your smile line are all considered. About 2 weeks later, you return to our office to try them on. They are very thin and can only be applied by Dr. Toomey. 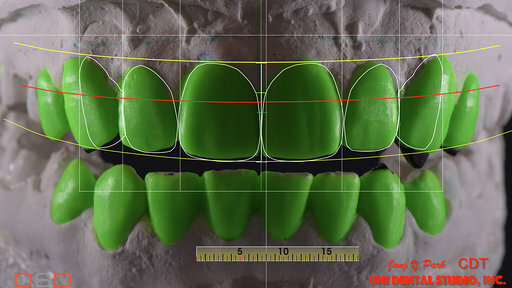 This allows the patient to think about the shape of each new tooth and determine if they like the color. 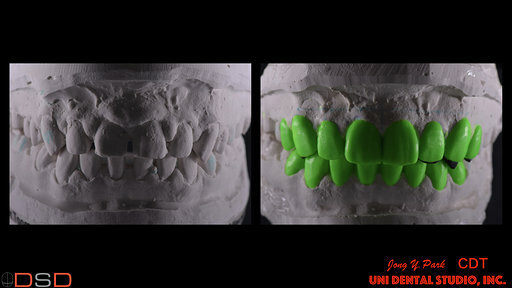 Once it has been decided to proceed, these models are used to make both the temporary teeth and the final teeth. You’ll have the same photo taken of your smile, then after, with the smile design applied, so that you can go home with photos. 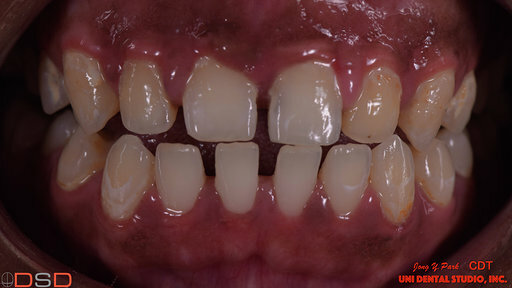 It will begin with a close-up of your teeth, so that your DSD can be created. 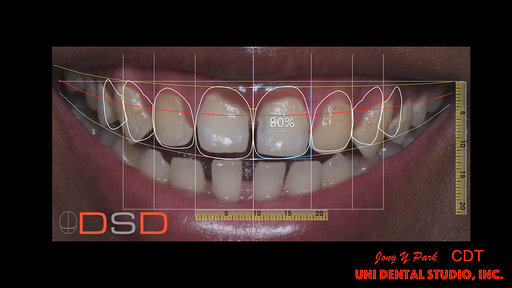 Measurements are done, in order to create the most natural and aesthetically-pleasing smile. Wax-ups are done on your models to put the measurements into action. The wax-ups are checked against the measurements. The final Smile Design is inserted by Dr. Toomey. It is a thin layer that slips over your own teeth, so that you can see how your new smile might look. Photos will be taken and you can walk around our office for a bit, to try them out. We recommend bringing a trusted family member or friend for another eye! The Smile Design is not functional, so must be removed before leaving. 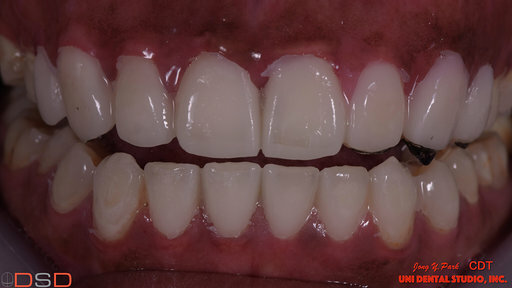 Your shade and changes in tooth shape can be discussed with Dr. Toomey, in order to get the best result for you!